1. Place the pork chops at the bottom of the slow cooker and combine the remaining ingredients (soy sauce, broth, vinegar, garlic, ginger and sugar) in a bowl.2. 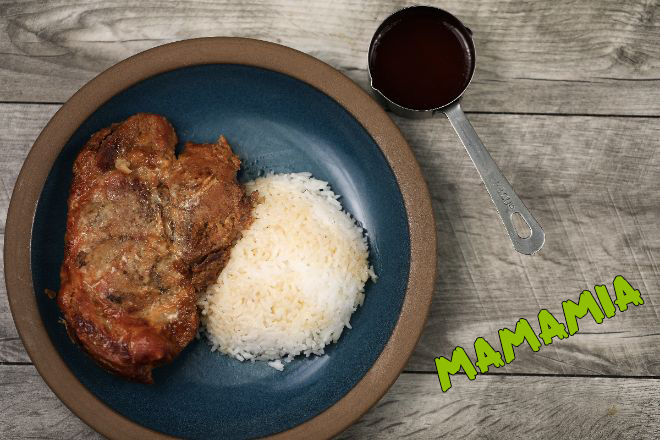 Pour the soy sauce mixture over the pork chops and cook on low for 5 hours before removing the pork and serving on a bed of white rice.Pro tip: Those sweet and salty juices in the slow cooker are too good to waste, so pour them through a sieve into a small pan and reduce a little to serve alongside the finished dish. Pork chops cooked in a slow cooker also tend to be dry, even while falling apart with a fork. You’ll want to get back some of that moisture with the juices. Sweet potatoes or peppery green leaves are good accompaniments. Or, serve the teriyaki chops with egg noodles for a change. Teriyaki? Teri-yummy!